With the frigid cold temperatures outside, sometimes keeping our grandchildren amused can be challenging. 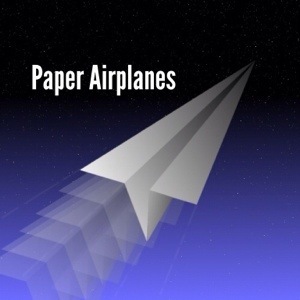 Although plopping ourselves in front of the television is appealing, we can only watch so many episodes of the shows on Nick Jr.
My grandson asked if we could make a paper airplane! What a brilliant idea. Of course I couldn’t remember how to make one. I must admit it’s been awhile. Thank goodness for You Tube, there you can learn to do just about anything. Before long we were like two pros. We watched our planes fly around the house. I watched my grandson get so excited over the distance his plane could fly. Who would have thought that a piece of paper could bring so much joy. Today reminded me that it doesn’t matter how much money you spend on toys for your kids or grandkids. It’s the time you spend together that’s important. Thank you! All of us who are lucky enough to have love in our lives are truly blessed.